Japan-based cryptocurrency exchange Zaif has been hacked, losing a 6.7 billion yen (about $60 million worth of cryptocurrency), including 5,966 bitcoins. 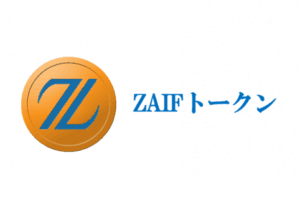 Zaif exchange is one of the major Japanese cryptocurrency exchanges. It is owned by Osaka-based Tech Bureau and licensed by the Japanese regulator Financial Services Agency (FSA). Tech Bureau reported that after the investigation of the case, it was discovered that hackers have accessed the exchange’s hot wallets without any authorization and had stolen around $60 million in bitcoin, bitcoin cash, and MonaCoin (cryptocurrencies worth 4.5 billion yen and 2.2 billion yen from the company funds). Zaif has stated that their own reserve is currently around 2.2 billion yen (or $20 million). They have made an agreement with a Japan-listed firm Fisco to receive a $44.5 million financial support in exchange for a major share of ownership, so the hacked company will be able to compensate users who lost assets in the hacking. Japan’s Financial Services Agency has asked Tech Bureau to submit a report on the incident and plans to perform an on-site inspection of the company after receiving the document. Tech Bureau didn’t give further details of how the hack happened, citing a criminal investigation that has been launched into the breach.